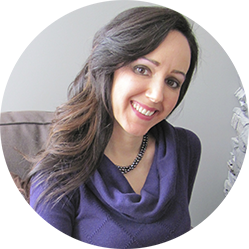 I am certified life coach, certified health coach, director of health & happiness and lifestyle entrepreneur. My purpose is to inspire women to make happiness their permanent default setting. How can I put into words what this beautiful business is growing into. I have combined two of my favourite passions: Happiness and Health (because what else matters?). I teach and share all the things that make our lives Contagiously Positive. Let me tell you a little bit about me and the company. 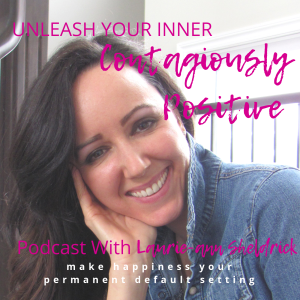 Contagiously Positive is a Lifestyle Company who’s main purpose to help you unleash your inner Contagiously Positive by creating and living a life that you LOVE. I founded Contagiously Positive so that I could guide women (men are welcome too) into making nourishing their minds, bodies, hearts and souls a top level, code red priority. I love to teach and it revs me up to share all the amazing life lessons that I have been learning on my life journey. When it comes to working with organizations, or with individuals in one-on-one coaching, online courses, workshops or speaking engagements, everything is geared towards offering solutions to people who want to enhance their lives. I work with people who want to change and who want to learn stress-free, fun (key to everything! ), and inspired ways on being happy, healthy, successful, inspired, motivated, productive and energized. I give people daily tools that they can easily incorporate into their lives. I was dubbed Contagiously Positive from a man I worked with in my past life when I worked for 10 years in General Contracting. He said, “you are so f-ing Contagiously Positive!” I took that a huge compliment as I have not always been a happy and healthy woman. In fact, before I decide to create and live a life that I love, I was unhappy, stuck in the negative vortex (I had actually taken up permanent residence there), I was stressed out, burnt out, unhealthy and felt sick and tired all the time. Not to mention I had no vision, no goals and zero idea on how to get from where I was (miserable and unfulfilled) to where I want to go (happy-land). I went from feeling spiritually, emotionally, physically bankrupt, to being dubbed Contagiously Positive. My personal and professional life are not separate. I live and breathe what I teach because I can be taken down so quickly into the negative vortex. I also believe that if I am going to teach health and wellness, I better practice what I preach. I am a life coach, health coach, author and motivational speaker, but my favourite part of what I get to do at Contagiously Positive is be a director of spreading health and happiness. To win at life, I believe that continuous personal development is essential. Learning has been key for me, which is why I teach. There is nourishment for the body (the foods we eat, and the way we move) and nourishment for our mind and soul (our relationships, career, spiritual practices, personal and professional growth, and all the things that expand and enhance our lives. I believe that what we think affects how we eat, feel, and act and what we eat affects how we feel, think, and act. There is no greater relationship than that of our mind, body and soul. They have perfect and never ending communication with each other. Food can make you feel full and satisfied, but cannot make you feel fulfilled. If your life is undernourished, you will most likely not make healthy foods choices. If you are stressed out, maxed out, burnt out at work or in life, you are also probably not making healthy food choices. I learned this the hard way, struggling my way through health issues after suffering from burnout while trying to climb the corporate ladder. All of this led me to my belief that you cannot have a healthy mind without a healthy body and you cannot have a healthy body without a healthy mind. After getting really crappy advice from my doctor on how to heal my body from digestive issues, constant infections, and an overall feeling of dis-ease, I decided to take my health into my hands and went to study Holistic Nutrition. Everything changed for my health and happiness levels when I began to take care of not just my body, but also my mind and soul. I healed my gut, stopped getting infections, like bladder infections, yeast infections, constant colds and flus, and began to feel healthy and energize. If I can do it, so can you and I want to show you how. Learning how to break through the toxic barriers of bad eating habits, health issues, negative thought patterns, limiting beliefs, creating a vision, taking aligned action on that vision, creating goals with soul, and truly living the life that I wanted to live, made me committed to sharing my lessons and helping other people on their own journey towards living a happy and healthy life. If you choose to work with me, take one of the online courses, hire me to speak at your event, or want to follow all the free and amazing tools, tips and inspiration on my blog, or podcast, I will share with you my own daily lifestyle practices that helped me step out of the darkness and leap fully and completely into the light. I will show you how to become the happiest and healthiest person you know.I will show you how to not only create a life you love, but live a life you love. I believe that life should be enjoyed. We do not need to suffer. We do not need to be stressed out until we get burnt out. My purpose in this life is to help you overcome the limiting beliefs, barriers and/or obstacles that have been keeping you from being happy and achieving your goals and desires. My truest desire is to help you clear away the blocks that are keeping you from being your true, authentic, fabulous self. I believe that healthy should be the new normal. It is not normal, nor is it necessary to feel unhealthy, and tired all day, every day. There is a healthy, fun and delicious way to love your body. I will teach you how to no longer feel like getting healthy, and staying healthy is complicated, I will help you heal your body and guide you towards understanding what your own unique body need to not only survive, but thrive – no matter what dietary lifestyle you choose. Here is what is so great about life and everything I’m going to share with you. In the words of Zig Ziglar, “You don’t have do it, you get to do it.” How lucky are we? If you are ready to create and live a life that you love, and unleash your inner contagiously, come take a closer look at how we can work together. Say goodbye to yesterday and give today a big hello because the best way is not always yesterday's way.